Hello! 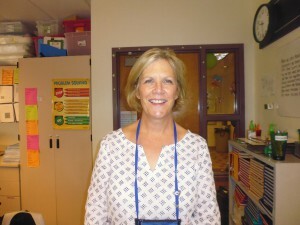 Teaching became a new career for me in 2004, and I have always taught in Denver Public Schools – go TEAM DPS! Since I live in Denver, it’s important to me that I teach in Denver. I have a degree in Social Services and one in English. After I got my teaching license, I continued my education and received a Master’s degree in Education from the University of Colorado at Denver (UCD). I have been married for many years and have a son who graduated from UCD with a degree in Creative Writing. As you may imagine, he is my pride and my joy. I love teaching 5th grade because students are able to have such interesting conversations about so many things. One of my very favorite things to do is read fiction so I love searching for books for the classroom library on the internet, in stores, and at sales and recommending some of the young adult fiction I’ve read over the years. I also really enjoy gardening, taking long walks, and painting with watercolor. I look forward to working with your kids this year!